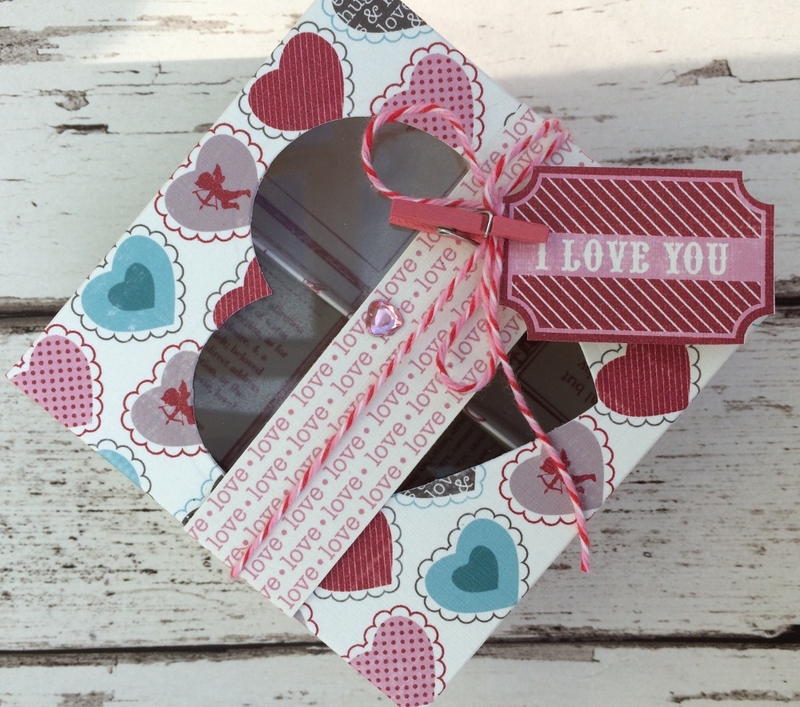 For box making I like to use card that has a pattern on both sides, that way you get a pretty pattern inside the box too, scrapbook paper works well but I like to use a digital paper pack so I can choose and print a design on each side of my chosen card. 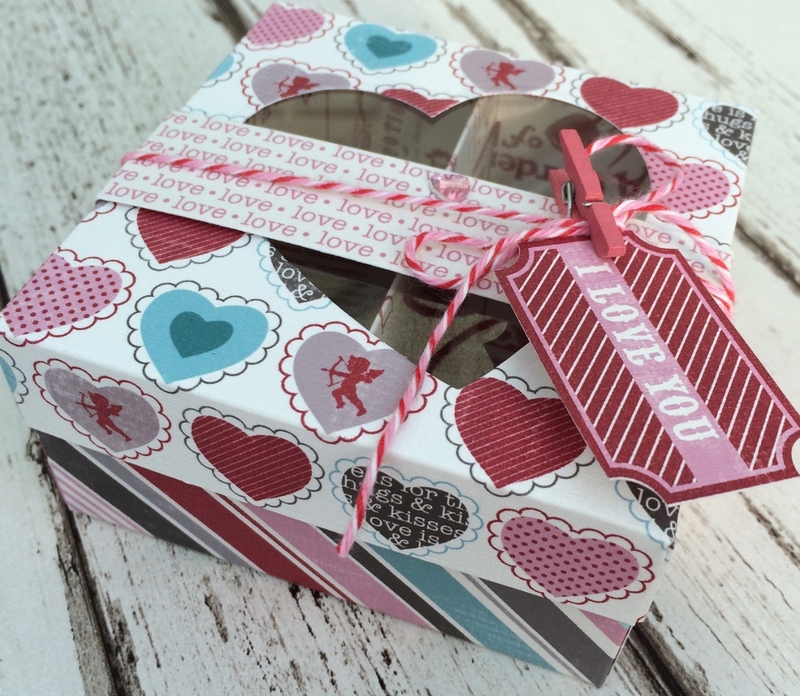 For this box I’ve used Carta Bella Devoted, it’s available to download from http://www.snapclicksupply.com..
1. For the base, take an 18cm square of card, score at 4.5cm on all 4 sides and cut one fold at each corner making tabs to add glue. 2. Repeat for the lid, but with a 13cm square of card and score each side at 2cm. Cut out a heart from the centre and back the window with a square of acetate. 3. For the dividers, cut two 9cm square pieces of card, fold in half and cut a slit in the centre of each so that they slot together.